Archdeacons are important figures within the diocesan structures of the Church of England and, as most of you will be aware, Paddy Benson, who was Archdeacon of Hereford for the past few years, has recently retired. 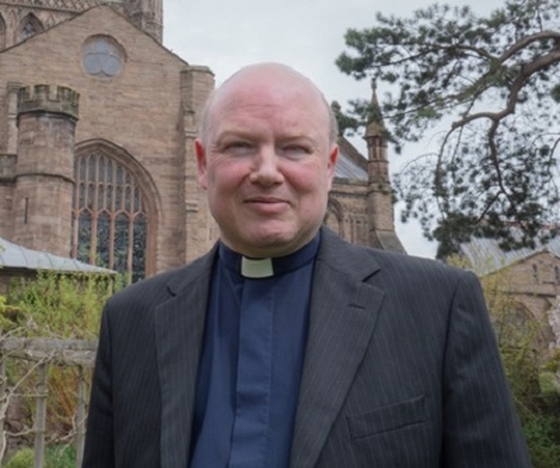 This month a new archdeacon -- Canon Derek Chedzey -- will begin his work and ministry amongst the churches and communities of Hereford Diocese, and we look forward to meeting Derek , getting to know him (and he getting to know us) and working with him. Bishop Richard says: "Derek brings a strong combination of faith, wisdom, experience and enthusiasm. He will be a key person in helping us to live out our vision." We will all have an early opportunity to meet Derek as he is coming to preach at our St Weonards benefice and Wormelow Hundred benefice joint service on Sunday 30th September. The service will take place at Much Birch church and afterwards there will be tea and coffee in the hall next to the church, when everyone will have an opportunity to chat to Derek. The service will begin at 10.30am and it would be lovely to see a good number of people there to welcome Derek to our benefices and to offer him our support as he begins his new ministry amongst us.